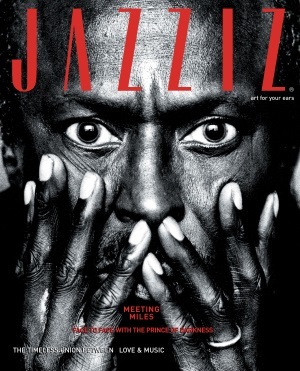 Yes, I want to enroll in the JAZZIZ Legacy Package, including unlimited web access, 4 quarterly print magazines and 8 CDs! You authorize JAZZIZ Magazine to charge your payment choice or bill you before the start of each new annual term at the low subscriber rate then in effect, unless you tell us to stop. You will receive a mailed reminder about 30 days before your payment choice is charged or first bill is sent. You may cancel at any time during your subscription by contacting customer service at 1.800.742.3252, and you will receive a full refund on all unmailed issues. Please enter your full name and address along with your subscription information in the form above. Your email address will be used to identify you for any customer service requests you might have at a later date. This page is for new subscriptions only. For current subscription inquiries, please call 1.800.742.3252.